Download Daily Connect for iPad free via AppsHawk. 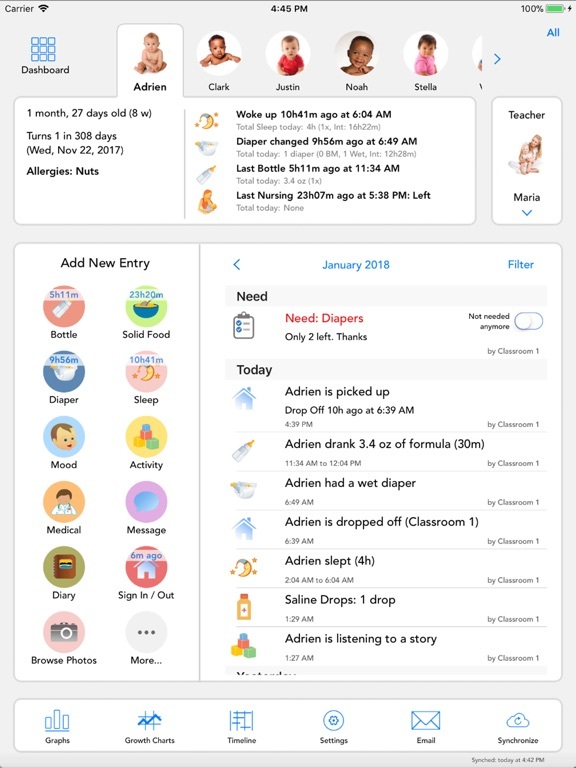 Daily Connect allows parents and child care centers to easily communicate. It is the replacement to the information daily sheet and much more. As soon as an event is saved, it is immediately synchronized on each parent and caregiver account. Everybody has access to the information in real time. 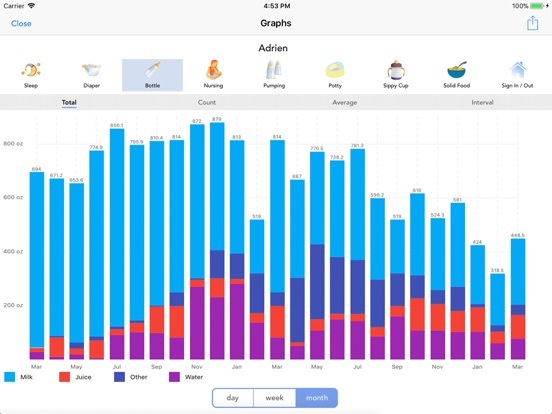 You can record not only feedings, naps, diapers, milestones, but also the babyâ€™s mood, temperature, what kind of game heâ€™s playing, and attach pictures. A web interface is also accessible for free so parents and and child care centers don't need an iPhone to view and enter information. Daily Connect helps giving a better care for the child thanks to a better knowledge of his rhythm and a better communication between each caregiver. Parents know immediately what their kid is doing during the day. They don't have to wait for the end of the day to find out what happened. They can connect to their account anytime, whether they are at work, at home or away on a trip. It reduces the anxiety of being away from the child not knowing what's happening. Parents will be less stressed and more relaxed leaving their child at the day care. Parents can also enter information when the baby is at home. For instance when the baby woke up in the morning before going to the day care. The day care staff will also have access to this information. The information from previous days is easily accessible. 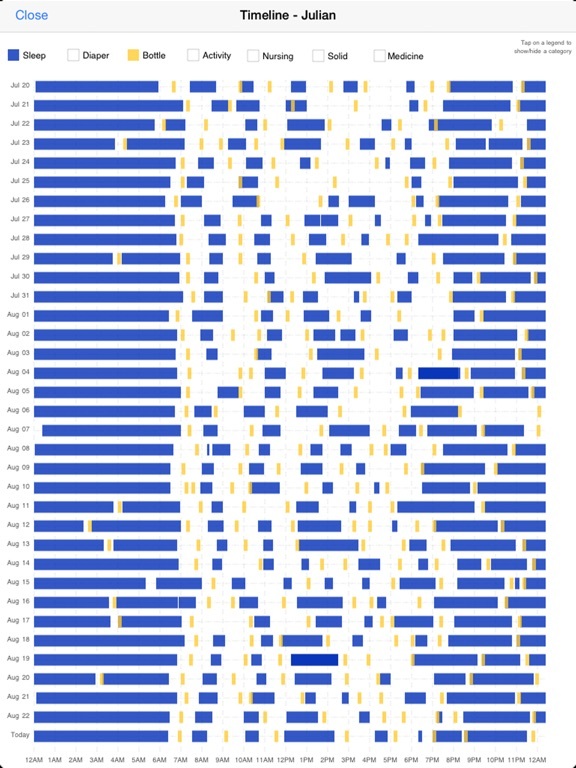 Parents and caregivers can easily see what happened the previous day to find out if new patterns are emerging. They can also see what activity the child has done the previous day to develop a new activity or a new skill the next day. * No limit on the number of children, parents and caregivers. * More than 100 customizable activities descriptions. 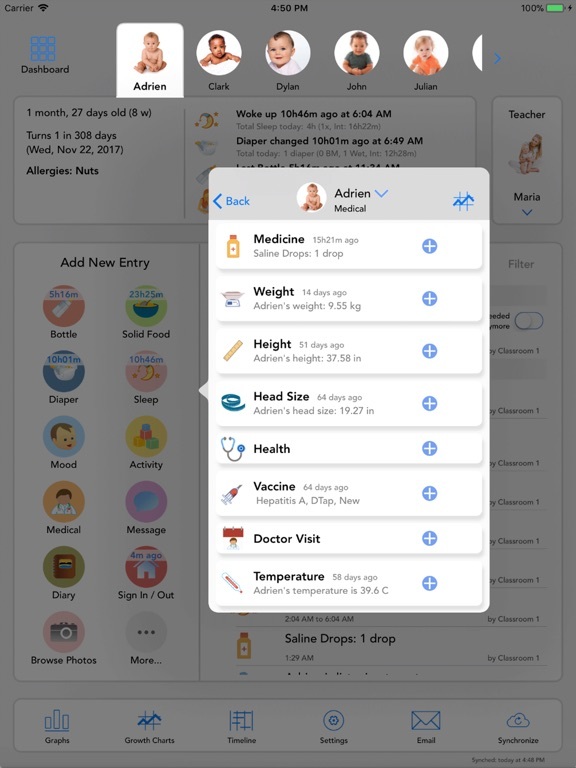 Daily Connect has the same features as its sister application 'Baby Connect'. An event saved with Daily Connect will be synced on the Baby Connect App.